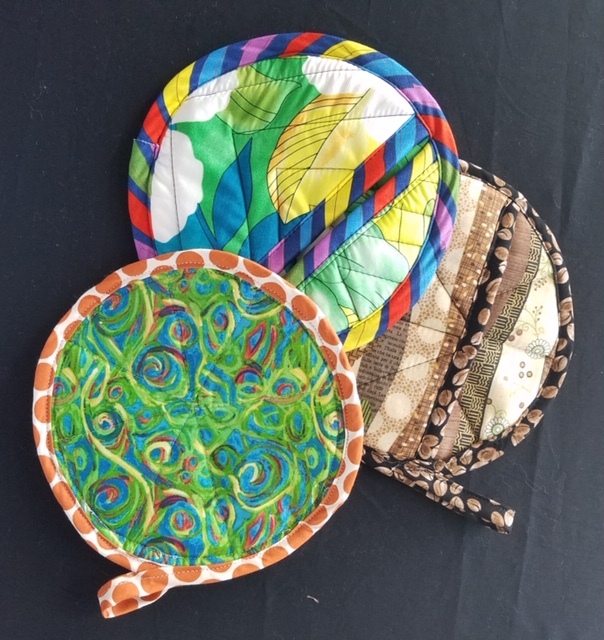 "Scrappy Potholders 3 ways," simple gift ideas using your fabric and batting scraps. Quick to make, and includes demo on making bias binding and sewing binding on curved edge. Just bring your machine threaded with black or white thread and a pair of scissors. Class will be taught by Paulette. Fee includes everything you need to complete this project.